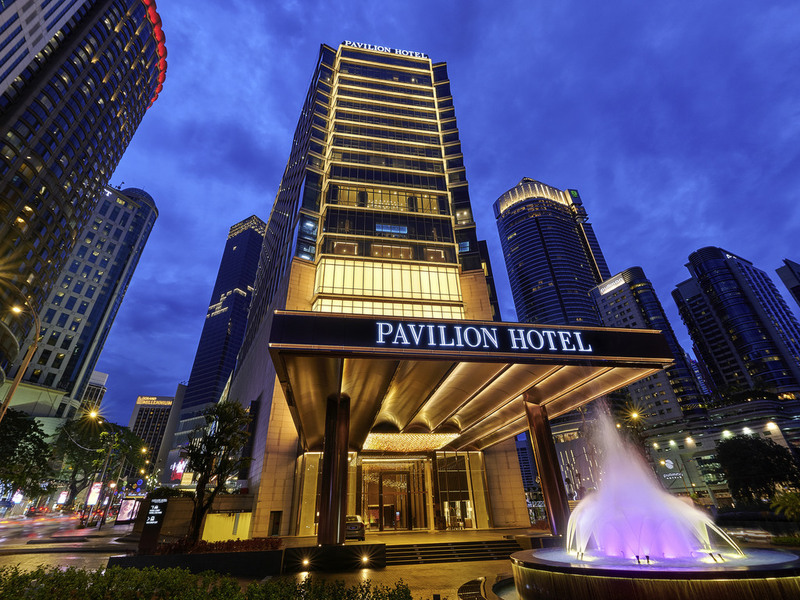 Located in the heart of Bukit Bintang, Pavilion Hotel Kuala Lumpur offers 325 beautifully appointed rooms and suites with club floor facilities to discerning business and leisure travellers who want a more personalised service. For dining experiences, there are an all-day dining restaurant named The Courtyard offering authentic Southeast Asian cuisine; Ebisu, a Japanese fusion restaurant; and Whisky Cove, a whisky bar. The Banyan Tree Spa and seven multi-event spaces are also available in the hotel. Populated by Malays, Chinese, Indians and indigenous groups, Malaysia boasts a rich cultural heritage. Whether it is the old world charm or the modern sophistication, there will always be some fascinating sights to experience. Featuring Japanese cuisine with a twist, Ebisu is Pavilion Hotel Kuala Lumpur's fusion Japanese restaurant and bar located on Level 8. Enjoy the fusion of Japanese cultures in the innovative menu, together with our extensive drinks list. Located on Level 8, The Courtyard offers a feast of Southeast Asian specialties in a casual and upbeat setting. Admire the Bukit Bintang cityscape and the hotel's relaxing courtyard while enjoying flavourful Malaysian, Indonesian and Thai flavours. Located on Level 7M, Whisky Cove is the timeless whisky venue to sip on one of the hundreds of various regional whiskies. Get creative and blend your own personal whisky to take home or store to enjoy on your next visit.